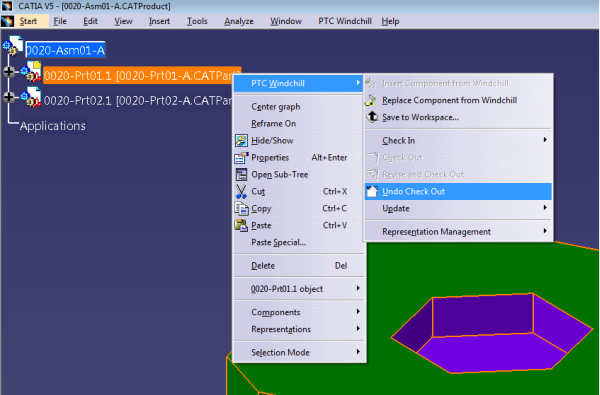 In PTC Windchill 10.2, context-sensitive PDM actions are available in PTC Windchill Workgroup Manager for CATIA V5. In PTC Windchill Workgroup Manager for CATIA V5, PDM actions are context-sensitive, based on the PDM status of the active document. Only applicable actions are presented to users; actions that are not valid in the current context are not presented. Previously, all actions were available regardless of the status of the active document.